Gov. John Hickenlooper is going to do his best Spider-Man impression and rappel down a Denver skyscraper - Denverite, the Denver site! Sep. 02, 2016, 12:40 p.m.
Gov. 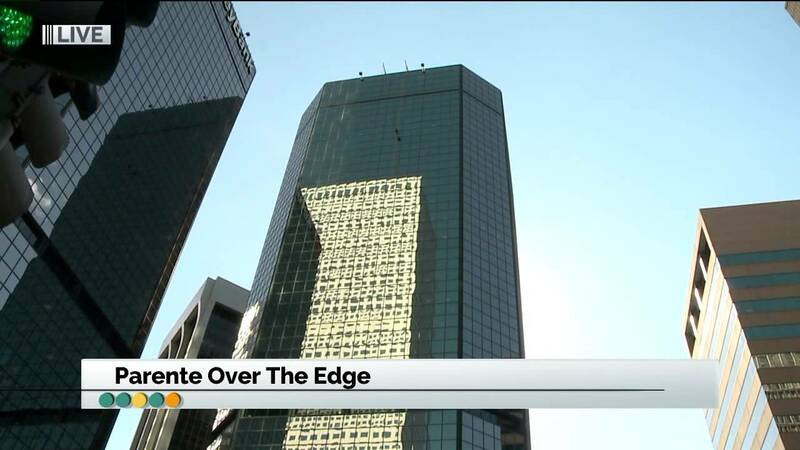 John Hickenlooper will rappel down 1600 Glenarm at 4 p.m. on Thursday as part of the Over the Edge fundraiser to benefit the Cancer League of Colorado. If you’re even a little heights-phobic (as I am), this is pretty much the most horrifying fundraiser ever. (Go look at the pictures. No, don’t.) But if you are Fun and Adventurous™, there are still 28 slots available for rappellers. You don’t have to be an experienced climber. You can do this even if your “only use of a carabiner is as a keychain.” You do have to raise $1,000, though. The Cancer League has no paid staff. The money raised goes to cancer research and patient services. You can also keep your feet firmly planted and donate money to support a rappeller by going to the website. Here’s a taste from last year.